Brick front and vinyl beautiful 4 bdm 2 1/2 bath home located within minutes of Ft. Lee and all major roads. 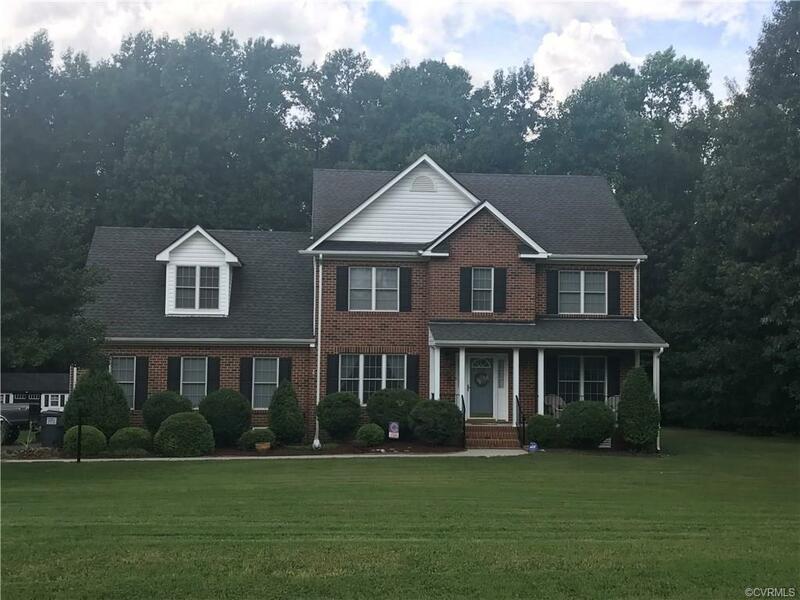 New HVAC units, propane Rinnai (Tankless) hot water heater, HW floors in foyer, formal living/dining rooms, newer allergy resistant carpet in family room, large master closet w/separate bath and walk in closet - other bedrooms are fairly large. This house is a must see w/a detached shed beautiful landscaping and lots of room for a growing family. This home sits on over 1.5 acres so that you can enjoy outside outings and cookouts.